Life is all about Christmas right now .... so another Christmas card. I stamped my base first by colouring my stamp with markers and spritzing lightly with water before stamping. I then did the second layer, colouring the cabin with the dark reds and using the same colours on the trees, then spritzing with water. I stamped the sentiment then die cut the cabin with stitched circles and attached the second layer to fun foam before attaching to the card base, I then added more fun foam to the back of the stitched circle and attached it in place, the coloured the circle with Wink of Stella Brush. I wish it would show up in pictures as it is so pretty IRL. A few sequins finished my country scene ... oh I coloured a yellow hue in the window for the lights inside the cabin. 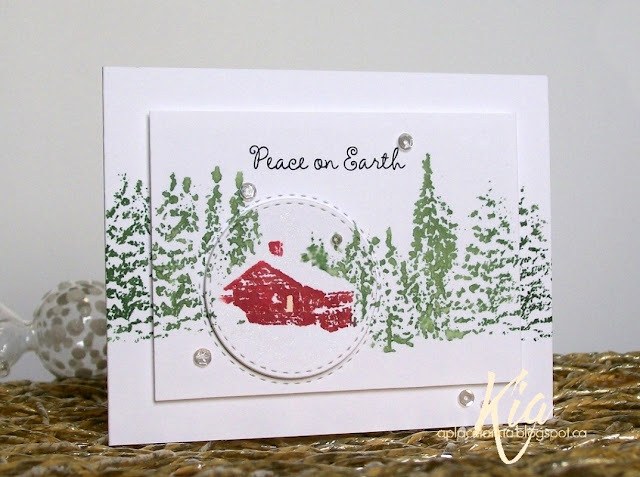 Products: Impression Obsession Winter Cabin and Christmas Sentiments, doCraft Markers, Fun Foam, Neenah Cardstock, Sequins. 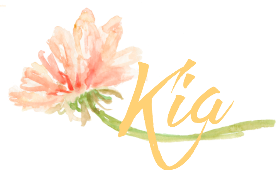 Wow, Kia, this is very rustic and beautiful. You definitely achieved the look you were going for. I have to look up this stamp now.